Spinal stenosis upper back pain is statistically far more likely to exist due to cervical canal narrowing conditions than it is to exist due to thoracic stenosis concerns. The upper back is closely linked to the neck in terms of movement and functionality, so therefore, some patients with lower cervical or cervicothoracic stenosis may suffer symptoms in areas below the affected vertebral levels, placing the pain in the upper back region. Just remember that regardless of whether the stenosis is problematic or not, many cases do not cause any pain anywhere. Some patients have stenosis which is not at all symptomatic and is deemed simply normal for their age and physical condition. Others may have stenotic change which causes neurological dysfunction, like incontinence or the inability to stand, but does not cause pain. This narrative delves into the occurrence of thoracic back pain in relation to spinal stenosis in the neck or upper back. Spinal stenosis is very common in the lower cervical vertebral levels and only occasionally seen in the upper thoracic levels. Both types of conditions are statistically unlikely to cause pain or other symptoms, since most cases will be rated as mild or moderate. Only truly significant canal narrowing is likely to enact symptoms of any type, and of these, only some patients will actually have pain. Furthermore, this pain, when it does occur, can take place anywhere below the affected levels, including the upper back, middle back, lower back or legs,all due to cervical and upper thoracic stenosis conditions. Upper back pain is one of the less common forms of dorsopathy, regardless of the diagnosis, since the upper thoracic is a very strong and protected area of the spine. Most disc and bone issues which may influence the thoracic region reside at the cervicothoracic juncture high and at the thoracolumbar juncture low. Patients must understand how their stenotic conditions are diagnosed. 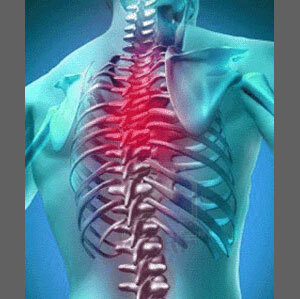 Most will assume that thoracic back pain means there is definitely an upper spinal problem. This may be true, but the cause may reside above the affected levels, in the neck. The cause may also reside completely outside the spinal anatomy, since many chronic pain syndromes are nonstructurally motivated or muscular in origin. Some may be ischemic, possibly driven by a psychoemotional process, while others may be disease processes or lifestyle factors which have yet to be successfully diagnosed. In all these cases, stenosis may exist to take the blame for the pain, when all along it is not the actual true source. Patients are warned that misdiagnosis is unfortunately very common in back and neck pain sufferers and without understanding their diagnosed conditions, these poor souls will probably endure many failed treatments before getting on the right path towards health. That is, if they ever get on course at all. First, mild to moderate stenosis in the neck is extreme common, especially in active or elderly people. This is normal and rarely the source of pain. Second, severe stenosis can cause widespread symptoms which may or may not include pain itself. If pain exists, it may be found anywhere below the stenotic change; sometimes far below. Last, please understand that upper back pain can exist for any number of reasons whether stenosis is present or not. I have even seen cases where symptomatic stenosis was found and effectively treated, but the pain endured, despite resolution of all other neurological symptoms. In these scenarios, the pain was driven entirely by a different causative process and finding this true source has proven to be so incredibly difficult for so many of us, including myself.